we are "Confident Governance" US based company urgently looking for "salesforce Developer/Admin". Salesforce Developer is primarily responsible for driving the delivery of Confident Governance products in a predictable and timely manner through dissemination of requirements and project planning. Additional responsibilities in the areas of: release management, internal training, documentation, sales and technical support as required. Salesforce Developer will be responsible for coordinating the product development effort between Product Management and Confident Governance engineering groups. Has the ability to work effectively and lead program as a key member of a cross-functional team. Is able to create and maintain project plans and deliver to them. Is a self-motivated individual focused on product quality that is ready to get the job done. Has ideally developed and tested Cloud based SaaS web-based applications. Has knowledge of Systems Development and Delivery lifecycle and functional needs of business. Ability to drive the SDLC cycle in a agile model. Customer Support, liaising directly with the clients. Good experience in configurations and customizations in SFDC. Extensive experience on working with customers and handling the production support tickets. Understand the sales methodology and lifecycle. Excellent communication,interpersonal skills.Working experience with global team. Experience with Sales Cloud will be a definite plus. Bachelor's degree or global equivalent in a business-related field. -Capable of operating independently and lead a small team. -Experience in performing Data Migration from legacy system to Salesforce.com with knowledge of Data Mapping. 3 Development of new Force.com Pages, Integration with Legacy System, Creation of custom reports, Data Migration. We are looking to hire Salesforce Developer with 2.5 – 9 years of exp in Bangalore/Mumbai/Gurgaon/Kolkata/Pune location. Minimum 2.5 years in Salesforce coding experience is must. 1 year of Integration experience on salesforce.com platform. Must have experience working on at least 4 implementations around sales, service cloud for large enterprises that involved significant customizations using the force.com platform. Extensive understanding of the Salesforce.com data model and how and when to create custom objects, junction objects, and other model items. 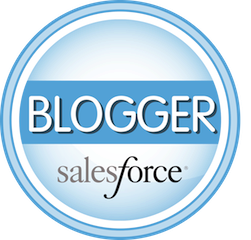 Good knowledge of salesforce recommended best practice around design and development. Must possess at least Dev 401 certification. Extensive experience working in an onsite/offshore model. Solid understanding of Object Oriented development and design, experience in using design patterns and ability to write clean, well-refactored maintainable code. Deployment using complex enterprise Force.com release management and knowledge of Force.com Metadata API. In depth understanding of SFDC Profiles/Roles and Sharing Rules, Validation Rules, Tasks, Workflow rules, and Triggers, etc. Should have good knowledge of Apex , Visualforce, triggers , HTML ,CSS. SalesForce analysis, estimation & development tasks along with the Client team. 3+ years of experience in Salesforce.com Architecture, Design and Development. Working experience with Apex, Apex Batch Classes, Controllers, Schedulers, Triggers and Callouts. Databases, SQL basic and SOQL.